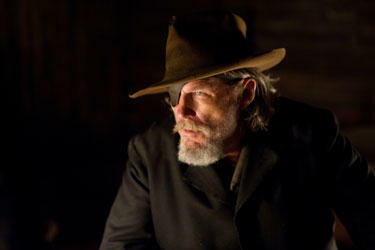 Jeff Bridges as Rooster Cogburn in "True Grit"
Jeff Bridges at the New York premiere of "True Grit." 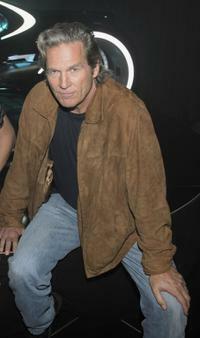 Jeff Bridges and Susan Bridges at the California premiere of "Tron: Legacy." 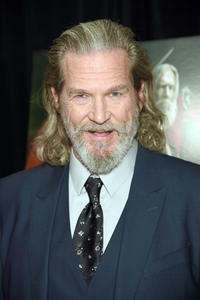 Jeff Bridges at the Tron Legacy Flynn's Arcade. 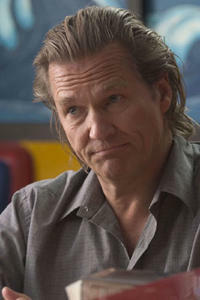 Jeff Bridges as Kevin Flynn in "Tron: Legacy." Jeff Bridges in "Tron: Legacy." 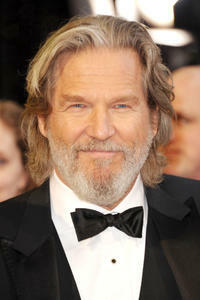 Jeff Bridges in "The Amateurs." 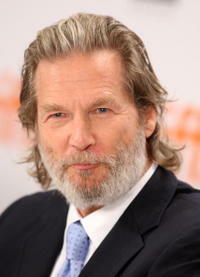 Jeff Bridges at the Canada premiere of "The Men Who Stare At Goats." 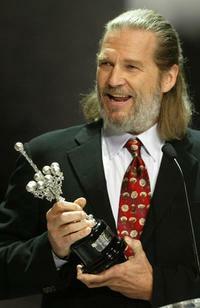 Jeff Bridges at the 83rd Annual Academy Awards at the Kodak Theatre in Hollywood, CA. Jeff Bridges in "The Men Who Stare at Goats." 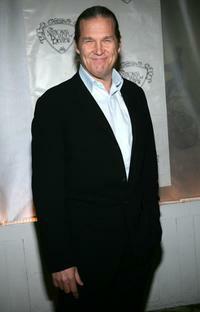 Jeff Bridges, Ewan McGregor and George Clooney at the Canada premiere of "The Men Who Stare At Goats." 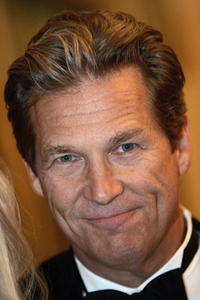 Jeff Bridges in "Iron Man." Jeff Bridges, Joan Allen and his daughter Isabelle Bridges at the 48th San Francisco International Film Festival Film Society Awards. 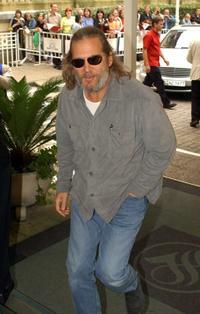 Jeff Bridges at the 52nd San Sebastian International Film Festival. Jeff Bridges and Mario Cantone at the Premiere of "Surfs Up". 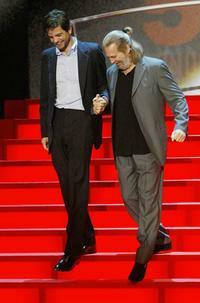 Jeff Bridges and Tod Williams at the 52nd San Sebastian International Film Festival. Jeff Bridges, Susan Bridges and Hayley Bridges at the Premiere of "Surfs Up". 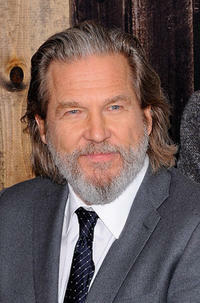 Jeff Bridges at the 48th San Francisco International Film Festival Film Society Awards. 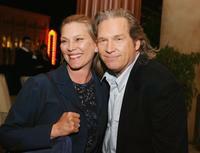 Jeff Bridges and his wife Susan at the Screening of Touchstone's "Stick It". 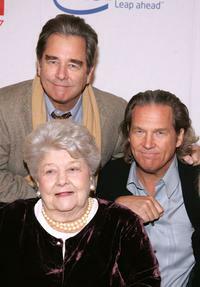 Jeff Bridges, Beau Bridges and mother Dorothy Bridges at the Hollywood Entertainment Museum Annual Awards. 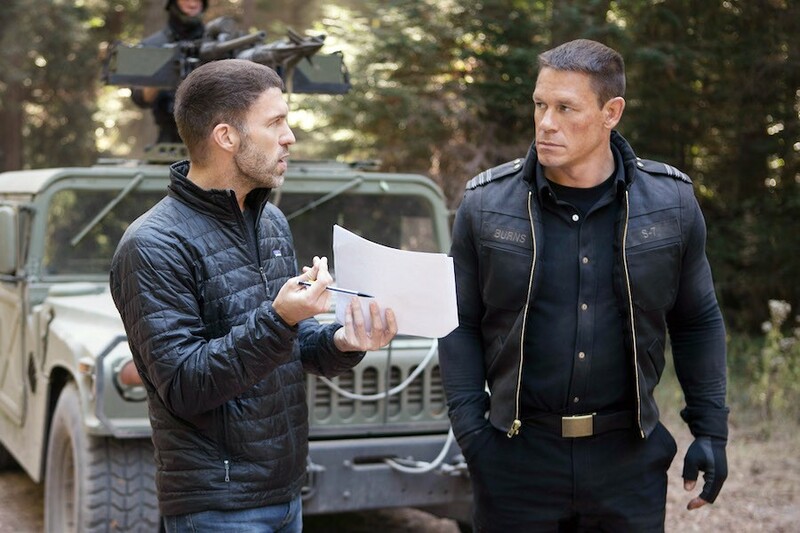 Director Scott Cooper and Jeff Bridges on the set of "Crazy Heart." 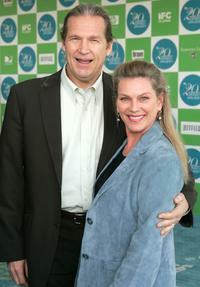 Jeff Bridges and Valerie Perrine at the Bauer Martinez Distribution Launch Party. 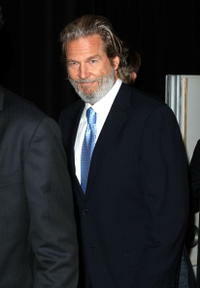 Jeff Bridges and wife Susan Geston at the 20th IFP Independent Sprirt Awards. Maggie Gyllenhaal and Jeff Bridges in "Crazy Heart." 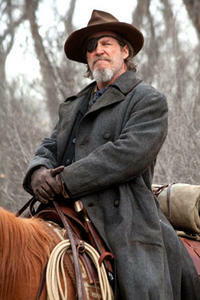 Jeff Bridges and Maggie Gyllenhaal in "Crazy Heart." Jeff Bridges, Paul Rudd and Michelle Pfeiffer at the Hollywood Walk of Fame. Jeff Bridges, Nadia Comaneci and Bart Conners at the Screening of Touchstone's "Stick It". 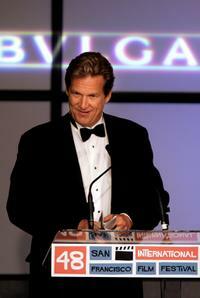 Jeff Bridges at the National Board of Review Annual Gala. 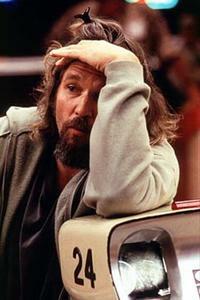 Jeff Bridges as Kyle Garrett in "The Open Road." Jeff Bridges, Aaron Ryder and Michael Traeger at the Cast Special Screening of "Amateurs". Jeff Bridges, Tod Williams and Xu Jinglei at the 52nd San Sebastian International Film Festival. 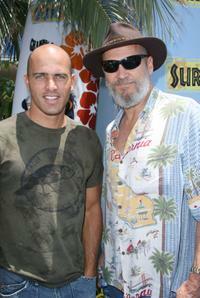 Jeff Bridges and Surfer Kelly Slater at the Premiere of "Surfs Up". Jeff Bridges, Terry Gilliam and Jodelle Ferland at the 30th Annual Toronto International Film Festival. Jeff Bridges and Isabelle Bridges at the SFFF: Film Society Awards Night Fundraiser. Jeff Bridges and Robert Duvall in "Crazy Heart." 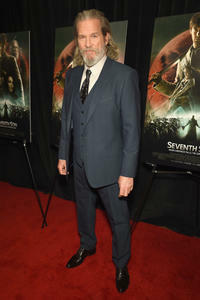 Jeff Bridges at the New York special screening of "Seventh Son."